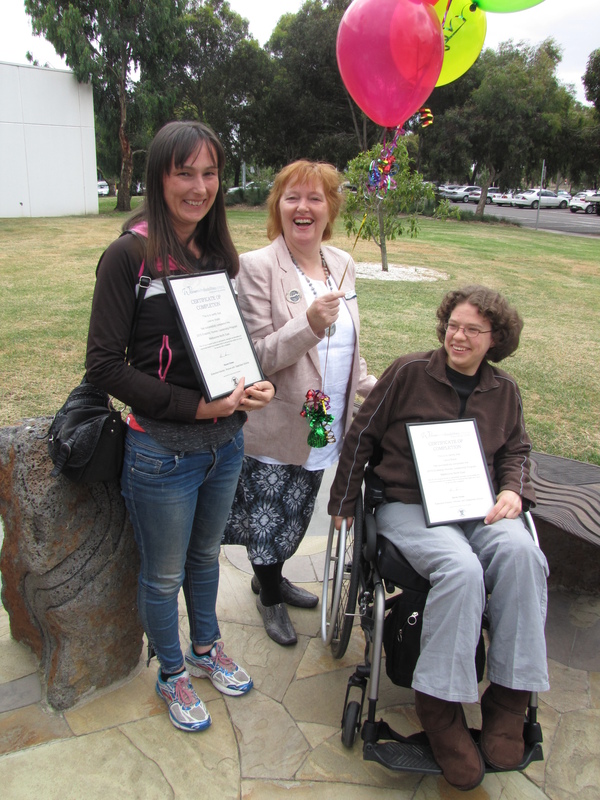 Women with Disabilities Victoria last week celebrated the findings of the Royal Commission into Family Violence. The Commission identified practical ways to address family violence against women with disabilities. The report's recommendations include housing strategies, family violence support improvements and disability workforce development. We are very optimistic that the report will in the long term make it safer for women, and particularly women with disabilities, to be in their homes. A key strategy is to educate National Disability Insurance Scheme (NDIS) staff and other disability workers about family violence. We all know in the disability field that disability workers are often central in our lives, especially for those of us who are isolated. If disability workers don’t know how to access family violence information and support then neither do many of us. The Commission’s recommendation that the disability workforce is trained in family violence sends a strong message that supporting the safety of women is their core business. The Commission has also recommended the Victorian Government advocate to the Commonwealth for the NDIS to provide flexible supports in crisis. The Commission’s recommendation that family violence services improve access to services and information will open the door to support systems for women with disabilities. Funded improvements are identified for the family violence system; accessible Magistrates’ Courts and refuges, training, data that counts disability, and inclusive prevention programs. The Commission’s blueprint for change emphasises partnerships across different sectors, such as the family violence and disability sectors, so policy and practice wisdom can be shared. Finally we have an indication that the policies about violence against women and policies about disability abuse can intersect. A lack of well designed housing, accessible for all, remains a huge barrier for people with disabilities to move away from violence. It is a continuing concern that governments do not have clear policies to address the lack of Universal Access in the development of new homes. Without such a policy we will never address the seriously limited options that we have as Australians with disabilities. It is especially concerning for women with disabilities who experience violence who need to find alternative housing. The Commission has listened to women with disabilities and designed changes that can create a safer future for us. Now it is over to Governments and agencies like the National Disability Insurance Agency to make safety and equality a reality. Women with Disabilities Victoria is looking for a part-time Project Worker for a 5 month contract period. The short term Project Worker will implement a 2 day program that will bring together young women with disabilities and profile women with and without disabilities to share their leadership journeys. Then this opportunity could be for you. The Inner North Community Foundation is pleased to announce that the Pathways to Employment Grant Round is now open, with support from Portland House Foundation. Groups can apply to increase workforce participation for disadvantaged groups. The closing date for applications is Friday 27 May 2016. There is growing interest in disability employment, yet there has been little investigation of job quality among people working with disability. A recent study by Australian researchers used national data to compare the psychosocial job quality of people working with versus without disability. People with a disability who worked showed approximately 25% higher odds of reporting one or more adversity at work. This finding was consistent across impairment types with the exception of intellectual disability.The Psychosocial job quality in a national sample of working Australians: A comparison of persons working with versus without disability is by Anthony LaMontagne, Anne Kavanagh and others. What made you interested in joining the WDV board? 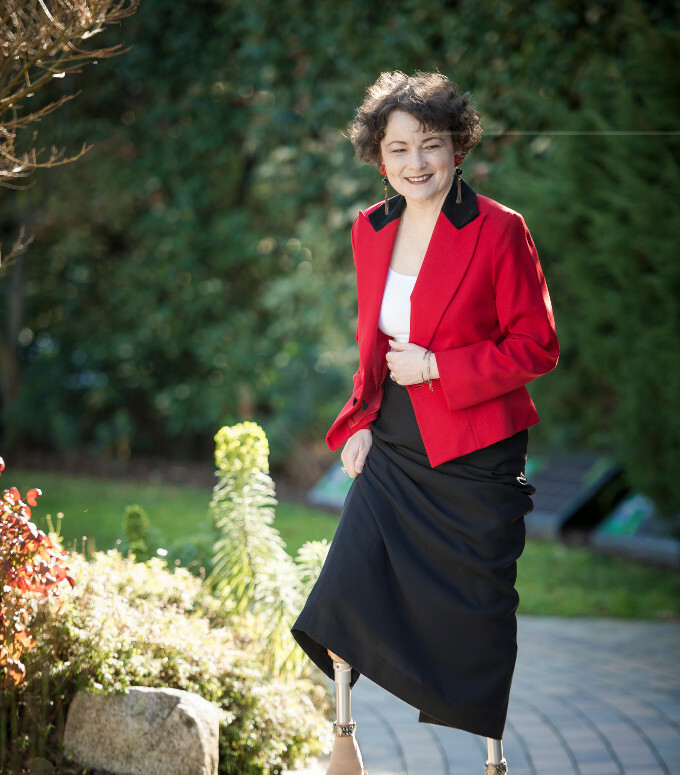 I have greatly appreciated the ways in which people have contributed to enable me to continue to have a successfully independent and fulfilling life and welcome the opportunity to continue to advocate and support other women with disabilities by being on the Board of Women with Disabilities Victoria. Is there a leader or role model that you admire? 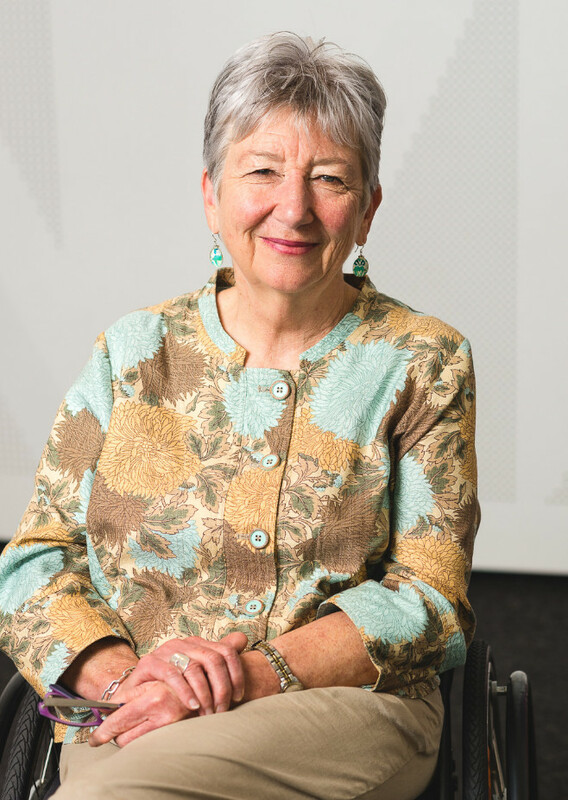 I admire the work done by Gillian Triggs of the Australian Human Rights Commission and I also admire the determination of everyday women who have disabilities, and who get on with their lives and best as they can. What would you most like to change for women with disabilities? I would like to assist in the development of support structures in the community so that women with disabilities are not disadvantaged. What does the ideal day involve for you? The ideal day would be a day where I can work towards achieving some of the goals listed above (and that my prosthetic legs behave themselves)! Laura Black and Leanne Walsh are graduates of WDV's Enabling Women Program (pictured below). They are putting together a chronic pain group just for women. It will run in the Nillumbik area. Laura says, "Our main aim is to provide a 'safe place' for local women who are living with chronic pain. We're working on building up links with local healthcare as we hope to be a source of information as well as provide peer support and validation to our members." The group is aiming to get started in May. Their Facebook page and Laura's email are the best ways to get in touch. PHOTO: Group organisers with Bonnie Hattam, Mayor, Nillumbik Shire Council. LEFT TO RIGHT: Leanne, Bonnie, Laura. A new report shows that to improve the housing shortage for people with disability would require providers to have to access huge amounts of money from the private financial market. Pro Bono News reported on this new analysis (31st March). The NDIS are running an online survey on their 'Communications.' They're asking what you think of their website, emails, social media, and all that. The NDIS Communications Survey closes April 22nd. Applications are invited for appointment to the Disability Services Board from Victorians with experience as disability service users or providers, or other expertise in disability complaints or services. Nine members are sought for 3 year terms to commence on 23 July 2016. Applications are due by 17 April 2016 and can be made online through the Get On Board website. The site has Easy English and large print materials. For more information or if you have any accessibility requirements in making an application, please contact Ashika Kanhai on (03) 9096 7215. Info session: From separation to settlement - your options (Mon 23/5). The Australian Network on Disability (AND) survey on the accessibility of banking products and services for people with disability is open until April 22. The survey takes about 10 minutes. The Australian Government are running a consultation on the future of the National Relay Service and how to improve communications for people with disabilities. The Office of Digital Transformation is interviewing new and expecting parents about your experiences with enrolling your baby into medicare. Their aim is to understand the process, how to improve it, and then build a better system. Women with disabilities who are pregnant or have given birth in the last 6 months can receive a $50 gift voucher for participation. One on one interviews can be arranged on: April 13th, 14th or 15th. Contacts: Jess (jessie.callaghan@digital.gov.au) or Meera (meera.pankhania@digital.gov.au). Facebook have begun providing automatic alternative text – or automatic alt text – for images posted to Facebook. Automatic alt text uses object recognition technology to generate a description of a photo, processing each through Facebook’s artificial intelligence engine to establish image content. At this stage the text is general, like, 'woman selfie' or 'outdoor mountain' but the technology is improving. This increases access to Facebook for people with blindness and vision impairments. We are having a great response to our social media. We are currently sharing a recommendations from the Family Violence Royal Commission every day, along with lots of other news and events. WDV would love to see you over on Facebook or Twitter, and welcome you to share your news with us.